In her valedictory speech after John Woodley's retirement from the Senate, Australian Democrats Senator Vicki Bourne suggested that he had always followed the advice of Proverbs 25:21 to comfort enemies with food and drink. It was natural that Senator Bourne should turn to the Bible in speaking of Senator Woodley, a Uniting Church minister who was sometimes called 'Rev' by his parliamentary colleagues. John Woodley was born in Brisbane on 9 February 1938, the elder of two sons of Norman Leslie Woodley and his wife Agnes Elizabeth, née Thompson. His family roots, however, were rural and his earliest years were spent at Builyan near Gladstone in central Queensland, where his father was employed cutting railway sleepers. John's father was thrown from his horse and killed when John was two and a half and his brother only six months old. The family then returned to Brisbane to live with Norman's parents in Toombul, in the city's north, where John attended the local primary school at Nundah. His family was not particularly religious, and Woodley was introduced to the Nundah Methodist Sunday School by neighbours. By the time he had reached his teens, he had recognised his vocation as a minister of religion. Woodley received his secondary schooling at Brisbane Grammar on the edge of Brisbane's CBD from 1952. On leaving school he joined Bankers' and Traders' Insurance Company (which became part of QBE in 1973) as a clerk. He began two years of national service in January 1957, after which he commenced theological studies at the Melbourne College of Divinity in 1960. On 7 January 1961, he married Marie Atkinson; they would have two daughters and a son. Woodley completed a Diploma in Divinity (Licentiate in Theology) in 1962. In the same year he was ordained as a Methodist minister, and took up his first pastoral appointment to the Mitchell-Injune circuit. The time spent in this cattle, sheep and grain farming area of Queensland was to transform his life and to teach him a lot about 'practical Christianity'. According to his own account he was at this time 'a conservative evangelical' with a 'very individualistic view of faith' and 'a simplistic understanding of human nature'. This 'simplistic theology and world view' was to be replaced with a passion for social justice as Woodley became acquainted with Aboriginal Australians for the first time. He acknowledges that he subscribed to 'all the usual stereotypes', but this altered when he met Aborigines in the Yumba camp near Mitchell. This was the beginning of many decades of working with and supporting Aboriginal communities. His concern for rural and regional Australia was enhanced by postings to Gympie, Cloncurry and Gladstone. In Gladstone he experienced an incident that focused his interest in politics when farmers were forced from their land by limestone miners. The episode split the local church community and prompted Woodley to reflect that 'if politics is going to interfere with religion, I'd better learn a bit about it'. This was made easier by a return to Brisbane in 1977 to take up a position as Director for Social Responsibility in the Queensland Uniting Church Synod, newly formed in that year by an amalgamation of the Australian Methodist, Presbyterian and Congregational churches. Woodley held this post until 1984 when he became Minister of the Bayside Parish Church in the Brisbane suburb of Wynnum (1985–87). Appointments followed to the chaplaincy at the University of Queensland (1988–90) and the Queensland University of Technology (1988–93). In 1988 he began studies for the degree of Bachelor of Theology at the Brisbane College of Theology, graduating in 1992. Without the constraints of a parish where it would be 'too divisive' to join a political party, he felt free, as Director for Social Responsibility, to pursue party membership, joining the Australian Democrats in 1981. He contributed to public debate, with his defence of Asian immigration in 1984 provoking death threats from Queensland's extremist racist fringe. Woodley's first official role in the Democrats was as national ombudsman, a position he held from 1988 to 1991. His party role continued when he served a three-year term as the Democrats' Queensland president from 1991 to 1993. This was followed by election to the Senate on 13 March 1993, when he won the sixth and last place for the Democrats. In his first Senate speech on 18 August, Woodley observed that he had come 'via many sidetracks and dry gullies to this place' and concluded with the thought that 'the critical attribute which truly measures our nation's worth is the way we treat those pushed to the edges of life, those at the bottom of the heap'. He was re-elected in October 1998. A career in politics did not mean the severance of Woodley's church connections. He wanted to continue his ministry, but according to church rules could only do so if appointed to a particular place. Woodley was appointed by the church as minister to the Senate where he continued, informally, to undertake 'a lot of counselling'. He also joined the Parliamentary Christian Fellowship, and served as its president for approximately three years. His feelings about the Fellowship were ambivalent: members tended to be conservative and some of them complained that the speakers Woodley invited to address them were too radical. 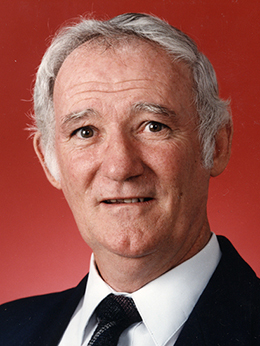 In 2001 Liberal Senator John Watson (Tas.) observed that Woodley's 'very significant' stands on social issues reflected his religious training and Woodley himself commented that he regularly made 'an explicit connection between theology and political argument in the Senate'. Sometimes he quoted from the Bible, as he did in a debate on the Migration Legislation Amendment Bill 1996: 'The Lord defends the rights of orphans and widows. He cares for foreigners and gives them food and clothing. And you should also care for them, because you were foreigners in Egypt'. He also emphasised the importance of tolerance and told the Senate: 'I have tried to promote what I believe is a Christian vision of a tolerant and caring society. I do not believe that you can have a caring or a Christian society if it is not a tolerant one'. He made it clear that tolerance was to be extended to all faiths, not just Christianity. Woodley was a conscientious senator. In a small party, the work was relentless: 'twenty-four hours a day, seven days a week'. Minor party status did not deter him from contributing often to parliamentary debate. He also devoted a great deal of effort to service on various committees, which reflected his interests and experience, including chairing the Rural and Regional Affairs and Transport References Committee from 1996 until 2001. In 1996, as a member of the select committee inquiring into the licensing of Melbourne's Crown Casino, Woodley issued a dissenting report in which he argued that public servants and whistleblowers needed better protection in giving evidence. As Democrats spokesperson on rural Australia, Woodley took up his task with vigour. On occasions he 'out-Country-partied' the National Party on rural and regional issues. He opposed deregulation of the dairy industry on the grounds that it transferred money from individual farmers to supermarkets and milk processors. Woodley also rejected free market ideology as 'economic madness' and likened economic rationalism to 'Economic ramboism ... whose god is efficiency and whose world-wide legacy is poverty and unemployment'. Nevertheless the committee he chaired on deregulation of the dairy industry recognised its inevitability, leaving Woodley's contribution, in the words of committee member Senator Winston Crane, 'somewhat of a contradiction'. Woodley was also a major contributor to reports on the Australian Quarantine Inspection Service. In addition, he chaired inquiries into aspects of the development and management of the Brisbane and Kingsford Smith airports, and an inquiry into airspace and air safety issues that incorporated an examination of air quality on the BAe-146 aircraft. In the latter case, Woodley had the satisfaction of seeing a positive result in 2001 when the Civil Aviation Safety Authority grounded affected aircraft, leading him to comment: 'It shows that not all Senate reports gather dust on the shelves'. As a strong supporter of native title, Woodley's membership of the Joint Committee on Native Title and the Aboriginal and Torres Strait Islander Land Fund was particularly significant. In 1983 he had co-authored a rebuttal to claims that Aboriginal demands for land rights represented a communist plot and more than ten years later, as the Democrats spokesman on Indigenous Affairs, he campaigned vigorously against the Howard Government's amendments to native title legislation following the High Court's 1996 Wik decision. Woodley was an outspoken opponent of Pauline Hanson. In 1997 he produced a controversial education kit, sent to every public and private school in Queensland, which discussed racism, the 'Stolen Children' report, the Wik decision, and included a booklet titled 'Why Pauline is Wrong'. Woodley campaigned for years against proposals for commercial development at Port Hinchinbrook, Queensland, adjacent to the World Heritage-listed Hinchinbrook Island. In 1998, after he raised fresh allegations of environmental damage at the site, on Woodley's initiative a Senate inquiry was held into the development. Woodley announced his retirement halfway through his second six-year term in July 2001. He was suffering from tachycardia, a heart ailment that was exacerbated by the stress of politics. Another contributing factor was the Democrats' replacement of their leader, Senator Meg Lees (SA), with Senator Natasha Stott Despoja (SA). When announcing his resignation, Woodley, a strong supporter of Lees, stated that he did not have 'the same commitment to the new leadership team'. His resignation followed a period of turmoil for the Democrats whose parliamentary members had divided over the issue of the Howard Government's introduction of a Goods and Services Tax (GST) in 1999. Under Lee's leadership, the Democrats negotiated amendments to the GST legislation, and Woodley, Lees and three other Democrats ultimately voted in favour of the package, enabling its passage, while Stott Despoja and Andrew Bartlett (Qld) voted against it. In the following year, the party split over online gambling. Woodley and one other Democrat, Lyn Allison (Vic. ), voted with the government in support of a twelve-month moratorium on new internet gambling sites. Eventually, a party plebiscite in 2001 resulted in Lees' replacement. Lees left the party in July 2002, initially to sit as an Independent. She then formed the shortlived Australian Progressive Alliance Party in April 2003, where Woodley served as president. Apart from this brief interlude, Woodley remained an 'observer' of party politics. He was active in the Queensland Uniting Care's Centre for Social Justice and continued to be closely involved with the Alan Walker College of Evangelism in Sydney. He taught at the college, and chaired an associated company, Peacebuilders International, which trains clergy and church leaders from the Asia Pacific region in peace building and reconciliation. The Senate valedictory speeches for Woodley in August 2001 were uniformly warm and complimentary across party lines. The Liberal Party's Senator Ian Macdonald (Qld) referred to Woodley as 'a very genuine person': 'I am sorry that he has left. He was one of those Democrats with whom you could have a sensible conversation, and he understood what the world was about'. Labor's Senator Schacht said that Woodley 'was as good a representative of non-metropolitan Australia as any who have served in the Senate during my time here', and commented that 'as far as you can be a practising Christian and a politician in this place, Senator Woodley provided one of the closest examples of how to do it'. This entry draws throughout on the author's interview with John Woodley of 8 Oct. 2009, [Interview]. CPD, 6 Aug. 2001, p. 25700, 18 Aug. 1993, pp. 252–5; Advertiser (Adel. ), 3 March 2001, p. 65. J. Woodley and R. Philpot, Bulldust and Spinifex, Aventure, Ayr, Qld, 1978, p. 8; Marion Maddox, For God and Country: Religious Dynamics in Australian Federal Politics, Department of the Parliamentary Library, Canberra, 2001, p. 207; CPD, 20 June 1996, p. 2005; Interview; Media Release, Senator John Woodley, 30 Oct. 1996. CPD, 18 Aug. 1993, p. 255, 30 Oct. 1996, p. 4801, 25 Nov. 1996, p. 2935, 6 Aug. 2001, p. 25701; Interview; Maddox, For God and Country, pp. 135, 138–9; Transcript, ABC Radio, 'The World Today', 2 July 2001. Interview; Select Committee on the Victorian Casino Inquiry, Compelling Evidence, Canberra, 1996, pp. 26–30 (dissenting report); CPD, 6 Aug. 2001, p. 25702, 7 Feb. 1994, p. 458, 7 Dec. 1999, pp. 11309–13; Age (Melb. ), 22 Oct.1999, p. 2; Rural and Regional Affairs and Transport References Committee, Deregulation of the Australian Dairy Industry, Canberra, Oct. 1999, Report on the Inquiry into the Development of the Brisbane Airport Corporation Master Plan, Canberra, 2000, The Effect of Pricing and Slot Management Arrangements at Kingsford Smith Airport on Regional Airlines and Communities, Canberra, 1999, Airspace 2000 and Related Issues, Canberra, 2001, Air Safety and Cabin Air Quality in the BAE 146 Aircraft, Canberra, 2000; Media Release, Senator John Woodley, 5 April 2001. Chris Budden and John Woodley, A Technicolor Fantasy: Geoff McDonald's Book 'Red over Black' in Perspective, Darwin, 1983; Media Release, Senator John Woodley, 9 May 1999, 2 Sept. 1999, 21 Nov. 1999, 23 Nov. 1999, 28 Nov. 1999, 5 Dec. 1999; John Woodley, 'Wik Guide', 3–4 Dec. 1997; Courier-Mail (Brisb. ), 23 Dec. 1997, p. 13; Age (Melb. ), 24 Jan. 1998, p. 11; Senator John Woodley, 'Wik laws unfair in practice', Land Rights Queensland, May 1999; Senator John Woodley, 'States face stark choice on Wik', Land Rights Queensland, Oct. 1999; Woodworks, Winter 1998; Media release, John Woodley, 20 Aug. 1997, 14 May 1998. Australian (Syd. ), 3 July 2001, p. 2; Illawarra Mercury (Wollongong), 3 July 2001, p. 2; SMH, 12 Oct. 2000, p. 12; AFR (Syd. ), 13 March 2001, p. 9, 27 July 2002, p. 3; Sunday Age (Melb. ), 27 April 2003, pp. 1–2; CT, 3 May 2003, p. 5; CPD, 6 Aug. 2001, pp. 25699–706, 21 Aug. 2001, 26270–2. This biography was first published in The Biographical Dictionary of the Australian Senate, Vol. 4, 1983-2002, Department of the Senate, Canberra, 2017, pp. 239-242.